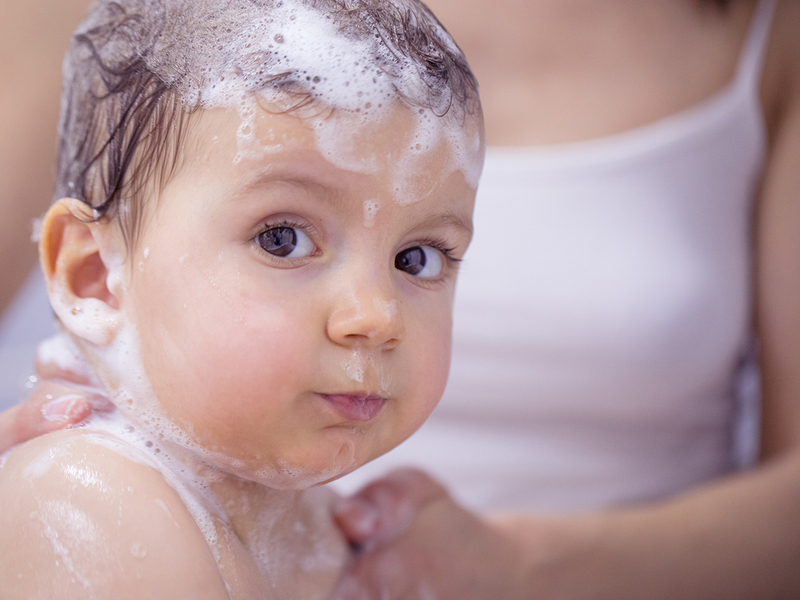 Baby skin care is in the spotlight following recent reports about Johnson & Johnson’s baby shampoo samples failing quality tests conducted in the state of Rajasthan in India, according to a public notice from the state’s drugs watchdog. A few months earlier, Indian authorities launched an investigation into J & J’s Baby Powder to see if it contains cancer-causing asbestos. The company has rejected the claims and in late February said it had resumed production of baby talc after government tests found no asbestos in the product. “We unequivocally maintain that our products are safe and our assurance process is among the most rigorous in the world,” a J & J spokeswoman said, adding that the company has contested the interim test results of the Indian government’s analysis that were based on “unknown and unspecified methods”, she said. The baby care products industry worldwide will reach $108.4 million by 2024 according to Zion Market Research. But are baby care products truly required or are they a marketing gimmick? Gulf News speaks to Dr Umesh Nihalani, specialist dermatologist at Dubai London Clinic to know more. Are baby care products really necessary? Nature has made our skin in such a way that it can produce its own moisturiser. An adult can sometimes feel his skin turning oily. That (oiliness) is a natural moisturiser produced by our body. But it takes years for babies to start developing this ability. There are many ingredients used in these products, and many of them are proven and scientifically tested. It is difficult to judge the products or rank them. We cannot say which is better. Babies have a very delicate skin. Their skin’s barrier functions are not as developed as in adults. Due to the underdevelopment of the barrier functions, babies get skin reactions and allergies very easily. So, it is always good to use products with milder ingredients specially designed and tested for babies. All products are chemical-based. But they are proven to be safe for long-term use as they are backed by scientific data. Many quality pharmaceutical products are backed by research, and have undergone plenty of R & D (Research and Development) before being launched. Natural ingredients such as oils cannot hold in moisture on the skin for long as do synthetic moisturisers. The latter category not only lock moisture into the skin which gives it softness, they also have barrier properties. They build a natural barrier to protect from environmental aggressors, especially in today’s world where pollution is everywhere. Deficiency or defect in this natural barrier can lead to a very itchy condition called atopic dermatitis or eczema in the paediatric age group. We can use natural products such as vegetable oils on a baby’s skin - they are very good - but they lead to a greasy skin. Moreover, they cannot lock in the moisture in the skin for long, so it requires kmore frequent applications, due to which skin can get greasier and thus attracting more pollution from the atmosphere, creating rashes and infections. 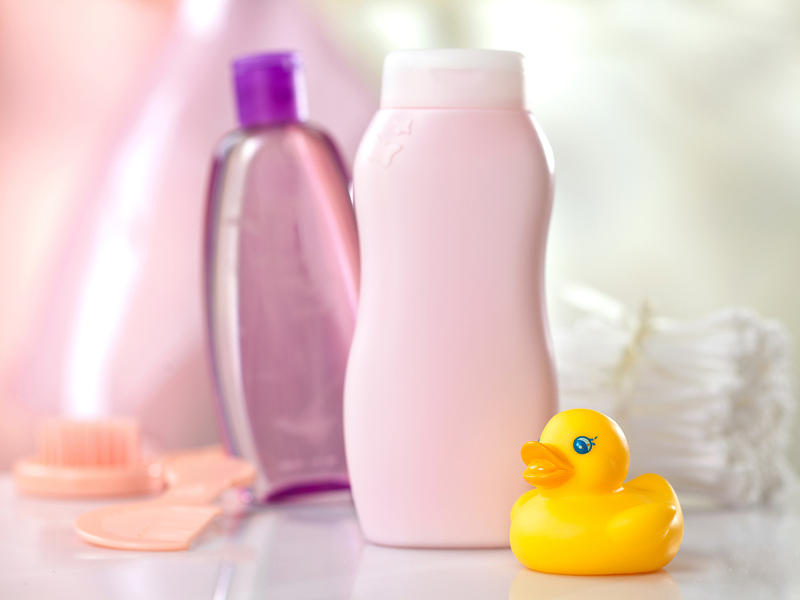 How do baby care products such as shampoo, soap and skin lotions differ from adult-purposed products? All cleansers, creams and lotions used for babies should be tested for the safety as their skin is very delicate. The pH of the product is also important to be considered to avoid irritation. For babies who may have frequent allergies, the products should be fragrance-free. Bubble bath products are intended to replace soap but their pleasant appearance masks the risk of prolonging a bath and irritating the skin. So parents should make sure their children are not spending too much time in the bath. Shampoos should be specially designed due to their proximity to body orifices and the peculiarities of baby skin. Most baby shampoos in the market ensure adequate cleansing. The pH of the shampoo should be close to that of human tears and have a low irritation index. Why is the use of soap necessary? Washing with water alone does not remove all the impurities on the skin’s surface. Detergents, soaps and syndents (a blend of detergents and synthetics) are used for this purpose. Some impurities are only fat-soluble, thus requiring the use of products capable of emulsifying these fatty substances into the fine droplets which can then be carried away by rinsing; these products are called surfactants. Are baby care products more of a marketing proposition? Or are some products better than others? There are many ingredients used in these products, and many of them are proven and scientifically tested. It is difficult to judge the products or rank them. We cannot say which is better. Some babies can get allergic to some ingredients and others to other ingredients. Many products have scientific data to support their claims and they have good tolerability studies to prove their safety and efficacy. Children have many different types of skin, and depending on the skin type, the skincare product should be chosen. Take the help of your doctor to choose an appropriate product. Baby care products should be designed to be tolerated by their delicate skin. Many of the acquired skin conditions in the paediatric age group are due to an abnormal barrier function. In other words, the skin condition in babies is due to the inability of the skin to effectively provide a barrier to external irritants. So, there is always the need of a good moisturiser which not only hydrates the skin but also acts as a effective barrier. How vulnerable is baby skin compared to the skin of older children? As a baby grows, the skin gets mature. Its tolerability and its natural barrier abilities improve. So they get more tolerant to products. And once a child enters puberty, the hormones make the skin more and more strong to face the atmosphereic insults. What are the biggest concerns for parents when it comes to baby skincare? Nowadays, eczema (Atopic Dermatitis) is the more common in young babies. Skin gets very itchy, and even sometimes disturbs their daily life. Diaper dermatitis, though now much less common due to good products in market, is also a common cause of concern for parents. Their skin needs very special attention, and it can be that parents get confused with the number of brands available for the eczema prone skin. One of the issues in this region is the widespread use of air conditioners. Air conditioners make the room atmosphere very dry as they take away the moisture. That adds to the dryness of the skin. • Avoid very hot water for bathing which can strip the skin of its natural oils and make the skin more dry. • Applying moisturiser to the baby’s skin immediately after a bath will help in retaining hydration in the skin for longer. • Direct exposure to the air conditioner can make the skin drier. 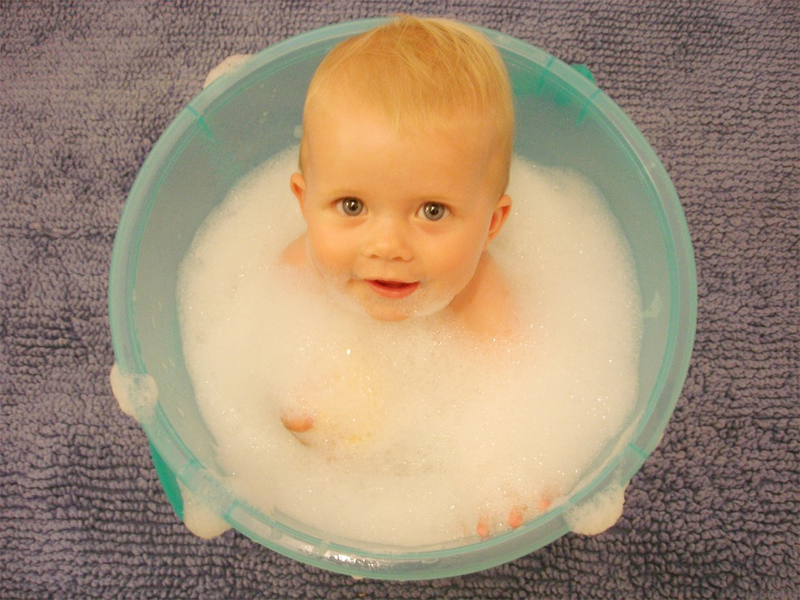 • Avoid foam baths for babies and small children as this can dry out the skin. • In excessively dry or compromised skin, once a week use of cleasers is fine. The chubby folds of baby skin can be cleansed with a mild cleanser on a regular basis. • Powders have a theoretical role to absorb moisture and prevent maceration (softening of skin tissue due to prolonged exposure to moisture) in the skin folds. But accidental inhalation of powders can lead to inflammation in the lungs. There is as such no role of powders for regular baby skin care regimes. What about organic or natural cleansing agents and home remedies for baby skincare? In many Indian households, for example, mothers use chickpea flour to cleanse baby’s skin. Chickpea flour is good cleanser but not suitable for all. It can make the skin more dry. In India, chickpea flout is used to remove excess hair on female babies, but that is not a good practice. It doesn’t have any benefit; on the contrary, it can damage the skin. It is better to apply a organically sourced oil to soften skin before bath time. Can parents overdo the cleansing and bathing routine? Our body carries many good bacteria and overcleansing, especially with antiseptic soap, can on the contratry damage the skin and render the baby more vulnerable to infections. Foam baths can make the skin more dry. Excessively greasy emollients or moisturisers sometimes don’t allow the skin to breathe and thus can cause many problems. Appropriate cleansing and skincare for baby skin is not recommended just for aesthetic purposes but to improve the quality of the skin and prevent skin disorders, especially those related to external factors, such as an infection or irritation. However, the systematic fight against infection and the overuse of topical products containing potential allergens can increase the potential risk of sensitisation (making the baby’s skin more sensitive). So parents need to strike a balance between basic cleansing and overcleansing. I have long heard about Johnson and Johnson baby products, and was reluctant to buy any of them for my three-year-old twin girls. So from the beginning, I have been using another brand, which I believe to be gentler on the skin. In addition, I opted for natural products from my own kitchen, like coconut oil, root powder and turmeric paste. 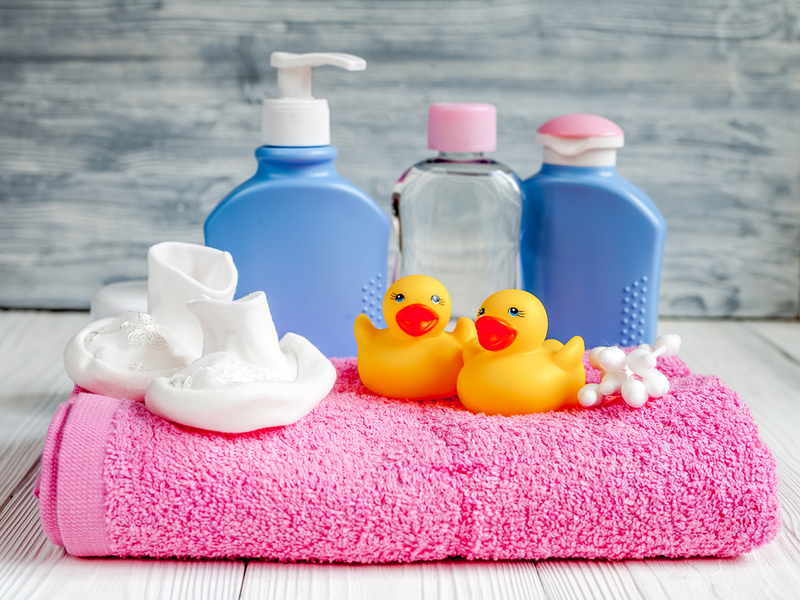 Soaps and cleaning products can be especially drying for baby skin, so I try to buy safe items. And I do get recommendations from other mothers based on their experiences. For my three children, I opted for alcohol-free products that were not harsh on their developing skin and that don’t increase their risk of allergies. When they are young, babies already have a lot of variables so it is best to be careful. I have heard about the Johnson’s controversy, but don’t necessarily believe everything I hear about the big brands. That being said, I think even adult products can be safe for toddlers if used in moderation. Now that my youngest is two, I worry less about looking for baby-specific products. There is nearly nothing softer to the touch than baby’s skin, especially once the initial weeks of flakiness and peeling have passed. As a first-time mother four years ago, I religiously followed the doctor’s advice when he asked us to opt for gentle baby products that would maintain the skin’s natural pH. I was also aware of the controversies regarding Johnson & Johnson’s shampoos, and steered well clear of them. 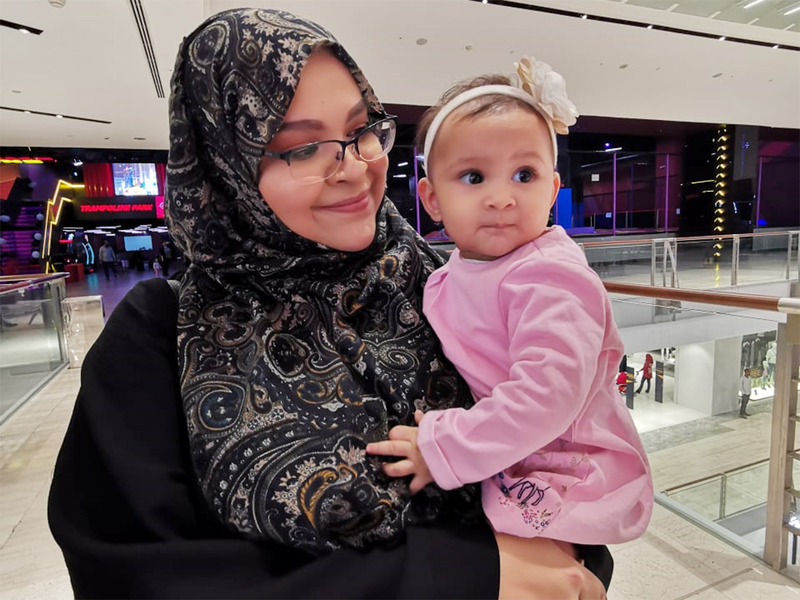 But, like many other parents in the UAE, we still had to deal with eczema and dry skin, even as we opted only for organic drugstore products. Faced with my child’s discomfort, I then switched to baby wash and lotion from a brand that specialises in skincare. They helped. So I haven’t looked back. In my opinion, the controversy about a big brand’s shampoos containing a cancer-causing chemical is not so much a surprise as a note of caution to parents. It is important to find products that work for one’s children, and in today’s world of big names and vested corporate interests, it is also just as important to look into what we bring into our homes. I think most parents today know this though. It is equally nice to know that our mothers were often very right. “You cannot go wrong if all you’re using on your baby is coconut and olive oil,” our paediatrician told us. So whenever I run out of baby lotion, or simply for a change, it is the trusty botte of coconut oil that I turn to without a worry.